In 1981, The Centers for Disease Control announced that the first patient had been stricken with the AIDS virus. That same year, a young doctor-in-training named Jack Ross treated his first patients infected with the human immunodeficiency virus known as HIV, which causes AIDS. At the time, the emergence of a new, unknown and mostly deadly virus sparked fear and prejudice. Dr. Ross was different. He wanted to treat patients with compassion and without judgement. In fact, the experience of caring for HIV/AIDS infected patients changed the trajectory of Dr. Ross’s medical career. Instead, he turned his attention – and his medical career – toward learning about the spread and treatment of viruses such as HIV/AIDS. He became an infectious disease specialist, whose job it is to work across medical and public health specialties to research, track, prevent and treat the spread of diseases in the human population. Fast forward 15 years, and the HIV/AIDS prevention and treatment landscape changed dramatically. The year 1997 marked a watershed moment in the fight for better treatment: powerful new medications that moved HIV from a fatal diagnosis to a chronic disease. 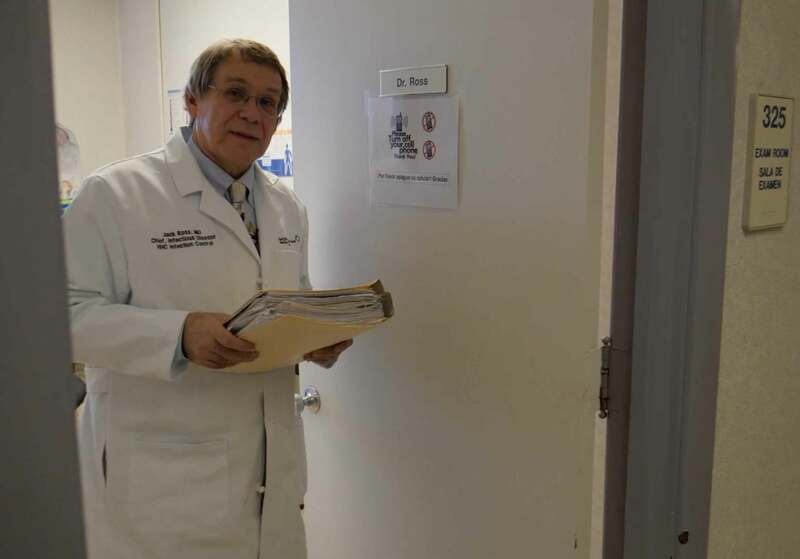 “It was life-changing for patients,” Dr. Ross said. The treatment of HIV/AIDS has continued to advance in the decades that followed, inspiring optimism today in both Dr. Ross and his patients. “If we can maintain you at the level where we can today, your future is bright. It’s a remarkable dichotomy that I do think about a lot actually,” he said. For Dr. Ross, the treatment of HIV/AIDS may have changed, but his practice of care remains as personal, compassionate and non-judgmental as it was in 1981. Learn more about the Hartford Hospital Community Care Center here.